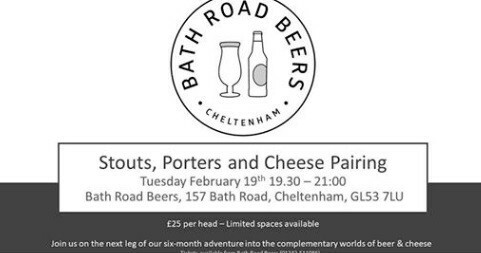 Come and join us on our journey into the world of beer and cheese. This time we turn to the dark-side and talk Stouts & Porters. Tickets are available now from the shop for £25. However they are extremely limited (Only 15!) So get yours now!! !